Now there is a huge variety of diets. You can choose food that will suit your taste and at the same time will help to lose weight. Now I would like to fix his attention on the Japanese diet. Incidentally, Japanese cuisine is not connected, though developed by Japanese nutritionists. Still the Japanese prefer rice and seafood, as well as easy on the coffee. Is this diet for 13 days. During this time, restores the metabolism and, therefore, reduces the weight, improves the health and well-being! The authors of this miracle promise that the result will last two to three years. I find this to be very cool! During the diet it is strictly forbidden to eat flour, sweets, sugar, salt and drink alcohol. Between meals allowed to drink boiled or mineral water in unlimited quantity. For best results, Japanese diet you need to follow strictly, be sure to follow all rules and not to change the dishes on the menu in some places. Day 1: Breakfast – black coffee; lunch – two hard boiled eggs, salad from boiled cabbage with vegetable oil, one glass of tomato juice, dinner – fried or boiled fish. Day 2: Breakfast – a Cup of black coffee, one biscuit; lunch – fried or boiled fish, vegetable or cabbage salad, seasoned with vegetable oil; dinner – 100 g of boiled beef, a Cup of yogurt. Day 3: Breakfast – a Cup of black coffee, one biscuit; lunch – a big zucchini, fried in vegetable oil; dinner – two hard boiled eggs, 200 g boiled beef, salad from fresh cabbage, seasoned with vegetable oil. Day 4: Breakfast – black coffee; lunch – a raw egg, three big boiled carrots with vegetable oil, 15 g unsalted cheese durum; dinner – fruit. Day 5: Breakfast – raw carrots with lemon juice; lunch – fried or boiled fish, a glass of tomato juice, dinner – fruit. Day 6: Breakfast – a Cup of black coffee; lunch – 0,5 boiled chicken, salad from fresh cabbage or raw carrots; dinner – 2 hard boiled eggs, a glass of grated crude carrots with vegetable oil. Day 7: Breakfast – tea without sugar; dinner – 200 g boiled beef, fruit; dinner – any of the previous days, except the third. Day 8: Breakfast – a Cup of black coffee; lunch – half boiled chicken, salad from fresh cabbage or raw carrots; dinner – 2 hard boiled eggs, a glass of grated crude carrots with vegetable oil. Day 9: Breakfast – raw carrots with lemon juice; lunch – large portion of fried or boiled fish, a glass of tomato juice, dinner – fruit. 10 day: Breakfast – black coffee; lunch – a raw egg, three big boiled carrots with vegetable oil, 15 g unsalted cheese durum; dinner – fruit. Day 11: Breakfast – a Cup of black coffee, one biscuit; lunch – a big zucchini, fried in vegetable oil; dinner – two hard boiled eggs, 200 g boiled beef, salad from fresh cabbage, seasoned with vegetable oil. 12 day: Breakfast – a Cup of black coffee, one toast; lunch – fried or boiled fish, vegetable or cabbage salad, seasoned with vegetable oil; dinner – 100 g of boiled beef, a Cup of yogurt. 13 day: Breakfast – black coffee; lunch – 2 hard boiled eggs, salad of boiled cabbage with oil, a glass of tomato juice, dinner – fried or boiled fish. I note that all dishes should be prepared without salt and spices – this is very IMPORTANT! 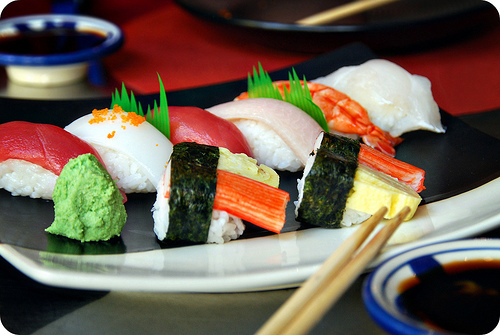 The Japanese diet will help you to reduce weight, tighten the belly and improve your health. For effective weight loss you need to combine diet with physical exercise at least 10 minutes a day. Be sure to weigh yourself every day to rejoice in the results, it's very stimulating. My In-Flight Skincare Routine + Travel Makeup Essentials! ✈ How to Make Sushi Rolls at Home + My Healthy Diet Tips!